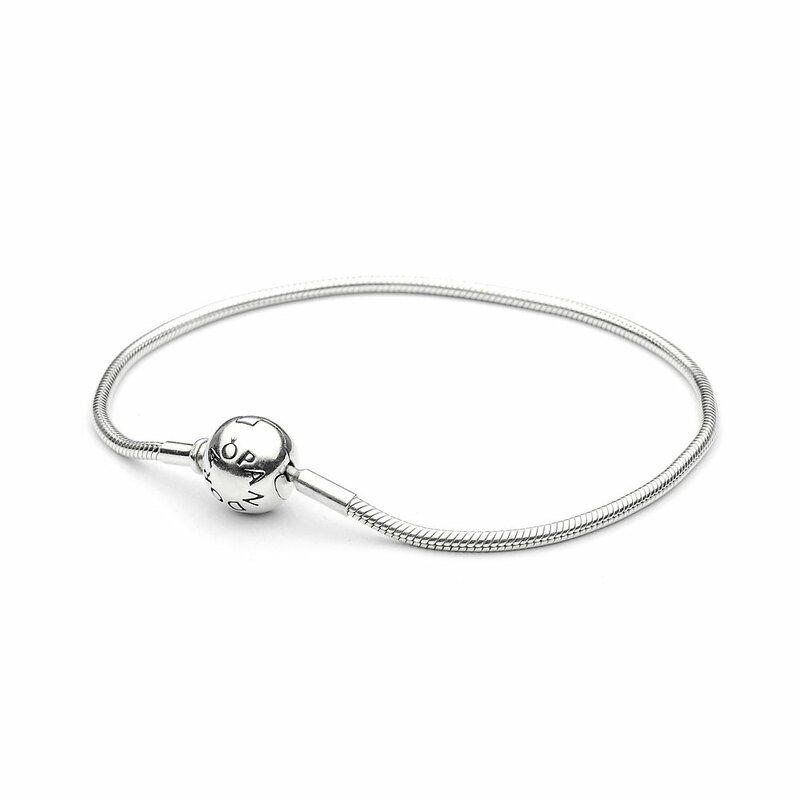 The ESSENCE COLLECTION bracelet is made from sterling silver and has a beautifully delicate chain. Style with your chosen PANDORA ESSENCE charms. Buy online or in concept stores. NOTE: ESSENCE Bracelet can only fit ESSENCE Charms. PANDORA ESSENCE Collection Silver Bracelet is rated 4.5 out of 5 by 33. Rated 3 out of 5 by 1997 from Gift I received this as a birthday gift, I loved it so much!!! Unfortunately, about 7 months after getting it, it fell off my wrist without my knowledge and I lost it. I was so in love with it that I rebought it. I was very cautious this time. Now, a year later, the bracelet became unclasped and fell off my wrist again. I love that bracelet so much, but I don't want to risk losing it again. I guess what I'm trying to say is be very cautious while wearing this bracelet because the clasp becomes loose. I know they now have the safety chain, but when I purchased it, they didn't. I would recommend purchasing that as well if you're planning on wearing this bracelet daily. Rated 5 out of 5 by KMGH from Just right I bought this bracelet a week ago and it easily fit my needs. I would recommend it for anyone to use with their charms. Rated 5 out of 5 by belin27 from Winner Finally got what I needed this bracelet feel so feminine and lovely! Rated 5 out of 5 by Mbravo26 from Perfect size I got a good deal with this ! I got it a month ago and it was worth it ! Rated 5 out of 5 by JJoseph from Simply Beautiful This was a birthday gift for my wife and she was very happy with the bracelet. Took a chance on the wrist size and it worked out perfect. Easy to order online and the site is very user friendly.